I was lucky enough to be offered a pattern to review by Alice at Backstitch recently. It's a dirty job, but somebody's got to do it… Alice stocks an impressive array of independent pattern designers, but one pattern stood out for me - the Emery dress by Christine Haynes. With a neat, fitted bodice and plain lines, it's exactly what I like in a dress. It also has variations for a collar and, wait for it…. a bow!! Oh yes! I think there are strong similarities between the Emery dress and the Colette Patterns Peony dress. I've made the Peony dress five times and wear all five versions regularly, but I'd be lying if I said it wasn't an absolute bugger to get the bodice to fit. In comparison, the fit on the Emery dress is spectacularly good, and it's not just me who thinks that - everybody who's made it seems to think so too. Before I started work on the pattern, I pored over the reviews by other bloggers and decided to make two changes. I lengthened the bodice by an inch, influenced by the perfect fit on The Sew Convert's version, who made the same adjustment. A quick muslin (yes, you read that correctly - muslin) confirmed my instinct was right, it was a little short in its original state. I also changed the skirt from a gathered rectangle to a half circle skirt. This was after seeing The Nerdy Seamstress's version. I was impressed by how flattering the fit was on Kathy, especially as her body type is quite similar to mine. I used the By Hand London Circle Skirt App, which does all the maths for you - hoorah. They're the only changes I made though, I nearly cried when I saw what a perfect fit the bodice was! This is the first Christine Haynes pattern I've used and I was mightily impressed. I faithfully followed the instructions for the invisible zip and it went in first time, without the slightest hint of a fight. There are also instructions for self lining the bodice to give a clean finish around the zip line. I've often struggled to work out how to finish lining around an invisible zip without resorting to hand sewing. Well this pattern shows you how in a beautifully simple way. The sleeves also set in perfectly FIRST TIME. Just look at them?! Not a pucker or ripple in sight - these might be the best sleeves I've ever sewn, which is a massive confidence boost after the debacle of my raincoat sleeves. My fabric is linen - an unusual choice for a dress made in February you might think, but I couldn't resist it. I saw it on a recent Spoolettes visit to the Goldhawk Road but didn't buy it. I kept thinking about it though, (how sad am I?! ), and had to make a second emergency visit to claim it as my own. It's a biscuit coloured background with red and pink roses, probably not the best choice with my pale colouring but do I care? No. I did plan to self line the bodice but the rose print was clearly visible from the front, so settled for plain white cotton instead. I underlined the sleeves in the same fabric but left the skirt as it was. I added a waist stay to keep that lovely waistline anchored into place and I think this helps give the dress the neat, fitted look I like. Adding the waist stay was easy peasy by the way - look out for a tutorial soon! Even though this dress is linen, it can be worn in colder months with tights and a cardigan and I can't wait to wear it in summer with wedges. It's a wonderful pattern and I'll definitely be making more versions, probably using a plain fabric and adding one of the embellishments next time. I don't think I've ever enjoyed making a dress as much as I enjoyed making this one! The Emery pattern was given to me free of charge for review. All views my own. Jane, I love, love your Emery! :) The fabric and half circle skirt looks amazing on you! The fabric is to die for. I love it and want it! It looks great with or without the belt. I've been obsessed with the gathered skirt because of the pockets, but I love the half circle the best because it's figure flattering. Thank you for the shout out! I can't wait to see your next Emery! Totally and utterly YOU. Divine, Jane, truly divine. It looks stunning, I love that fabric! WOW beautiful dress. You look amazing!!! That dress is stunningly lovely as is the fabric- you clever girl! Now of course, I want this pattern and wonder if even I could make such a lovely frock. It's beautiful! The fit looks fab, and I'd love to know how to do the waist stay thingy. This is such a gorgeous dress on you, and the fabric reminds me of spring! (it cant be that far off now surely?) I've heard so many great things about this pattern, I feel myself about to jump on the bandwagon! Aw, it's perfect! I love the colours on you. I'm slowly being persuaded that I need this pattern - it seems to basic, but if the fit is so great it'd be a useful one to have around. Your dress looks fab! I've recently got back into sewing after a very extended absence and I'm nervous about tackling something as big as a dress but I've read other reviews of this pattern and it seems like a winner! Ah this is a beauty Jane! Lovely fabric. I'm shocked you didn't buy that fabric the first time, and so glad you went back for it. It's stunning! This dress is so gorgeous, just perfect for you! Gorgeous dress! Thanks for this helpful review of the Emery dress. I bought the pattern a couple of weeks ago and it' in my 'to make' pile. I had awful problems getting the Peony bodice to fit me, in fact I gave up in the end. 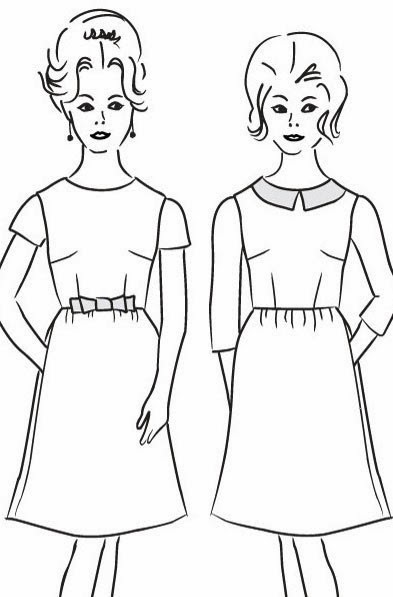 So pleased to hear this dress pattern is easier. gorgeous! love the fabric and the waist stay that matches it perfectly! i have this pattern lined up and i haven't read one bad review of it - i can't wait to get on to it. my peonies never fitted as well as i'd like (although i love the shape of the dress) so this seems like a great compromise. Such a pretty dress! The texture of the linen looks lovely too. And nice to see some non-wintery dresses starting to come through already (having spent the past month ½ battling with a tweed coat - finished at last! - I can't wait to move on to summer clothing). I love this so much, Jane! It's perfection! It's so lovely to have a burst of summer. Oh I adore it, and I knew if you sewed it up you'd be keen on it since it suits your style so well! The fabric is gorgeous, that'll be perfect with a little cardigan in cooler months and strappy sandals in summer. I love that you used a half circle skirt-- ironically not 10 minutes ago I was daydreaming about doing the same on a future version. Interesting the sleeves were an area where I did have a little issue as I just couldn't quite get all the ease in perfect. But doesn't that bodice just make you cry with how wonderful it is?!! :D I love this pattern so much and love your version!! Very nice - I just ordered this last night. I have been searching for a pattern to use up quite a varied vintage printed fabric stash. Mostly prints with some that are quite light weight I think this will be just the thing - it is so versatile I have seen it in heavy brocades and in quilting cotton and in voiles and it works. I was going to try BHL Elisalex but the the neck is very wide - so I think starting with something a little higher and changing it to a wider neck if I need to is wiser. There is enough color in the dress so that it doesn't wash you out at all. You look radiant in this perfect dress. Great job. Lovely!!!! Thank you so much for all the kind comments and I'm so happy that you love the dress! I adore all the circle skirt variations and yours in that adorable springy fabric is just perfect! Thanks for making my dress up and thanks to Alice for having you give it a try! I look forward to your future versions!!! It's really pretty - and is reminding me that I really should get planning my 2nd Emery soon! It's such a great pattern! Jane, this is just gorgeous! You did such a wonderful job! The pairing of that pretty, pretty linen with this pattern was brilliant - sweet, but still very grown-up. Also, the fit really is perfect on you. So lovely, all around! I'm in awe. I so need to make this dress, I keep putting it off, but I know I will love it. Yours is beautiful, gorgeous fabric. This is really stunning, the fit is perfect! It's just so beautiful on your! That fabric is so you. And I like the circle skirt variation. I'm thinking of making my next one in a more slimmer skirt. I'm not sure yet. If anybody is sitting on the fence about this pattern, GET OFF OF IT. 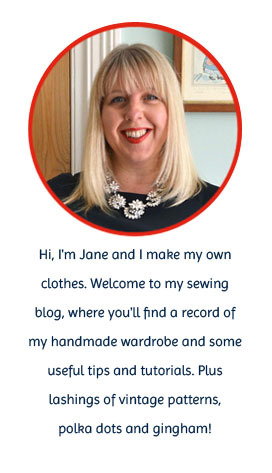 As Jane says, her instructions for the invisible zip and putting a bodice in around the zipper neatly are genius. So much so that I wrote to her this very morning. It's never been made so clear to me. For my money, this is the dress pattern of the year!!!! Jane it's delightful!! And the biggest thank you for making something that channels spring and sunny days amidst this wet n windy climate! Such a beautiful springtime dress. Lovely fit and is very flattering on you. I love it! the fir is just perfect. Oh Jane, this is my dream dress...perfect fit, cute shape and gorgeous fabric! I absolutely love it to bits and thanks s much for the construction info! I've got to make this pattern up asap!!! Wow! What a stunning dress, Jane! You look so lovely in it! Gorgeous flattering dress. Looking forward to seeing how you put in the waist stay. That's the perfect dress - perfect fabric and perfect fit. You look great in those colours too. WOW! What a perfect dress! I love it on you!!! The fabric is absolutely gorgeous, and even the waist stay is so perfectly coordinated! Bravo! There have been so many great versions of this dress popping up! It must be a fabulous pattern! Your dress is just gorgeous, I couldn't have resisted that fabric either! This is such a cute pattern and I just love your fabric choice! Looks so pretty on you. Wow this is so fresh and pretty on you. Love what you've done with the skirt, it's really flattering. I've got to make this. This dress is lovely, and the colors look wonderful on you. The circle skirt is perfect. Your dress is gorgeous!! I LOVE the fabric, and the half circle skirt. I just finished my first Emery dress at the weekend and I can see it becoming a firm favourite, as well. Beautiful. And so beautifully made. I LOVE THIS DRESS! That fabric is GORGEOUS!!! What a lovely dress, so well made. This will be my first dress, is it ok for beginners?